When properly equipped, the 2019 Ford Explorer can tow an impressive 3,000 to 5,000 pounds. Additionally, it has a notable payload capacity of 1,259 to 1,717 pounds. No matter if you’re towing a boat to the Fox River or hauling materials for a construction project in Yorkville, the new Ford Explorer SUV has the muscle to get the job done. Discover the power of the new Ford Explorer as we break down the towing capacity, performance, and features below! 3.5L V6: Thanks to Ti-VCT (twin independent variable camshaft timing), this engine produces 290 hp and 255 lb-ft of torque, and delivers solid performance across low, medium, and high power ranges. 2.3L EcoBoost® 4-Cylinder: Experience an EPA-estimated 19 mpg city / 27 mpg highway and 280 hp and 310 lb-ft of torque from this capable and efficient engine. 3.5L EcoBoost® V6: The robust 3.5L engine uses turbocharging and direct injection to generate 365 hp and 350 lb-ft of torque. You can find this engine standard on the Sport and Platinum trim levels. Class II Trailer Tow Package: This package equips your Ford Explorer with the 2.3L engine and includes everything you need to tow up to 3,000 pounds, such as a frame-mounted hitch and wiring harness. Class III Trailer Tow Package: Available with the 3.5L V6 engine, this package includes an engine oil cooler, a frame-mounted hitch, and four- and seven-pin trailer connectors. Add on this package and increase your towing capabilities up to 5,000 pounds. Intelligent 4WD with Terrain Management System™: Tackle tough terrain with this system which allows you to switch between Normal, Mud/Rut, Sand, or Grass/Gravel/Snow modes. AdvanceTrac® with Roll Stability Control™: AdvanceTrac® with RSC™ monitors yaw and roll rates using gyroscopic sensors, and helps retain control in the event of wheel-slip, understeer, or oversteer. It also includes Curve Control, which slows the Explorer’s speed during tight cornering. Experience the Strength of the 2019 Explorer at River View Ford! 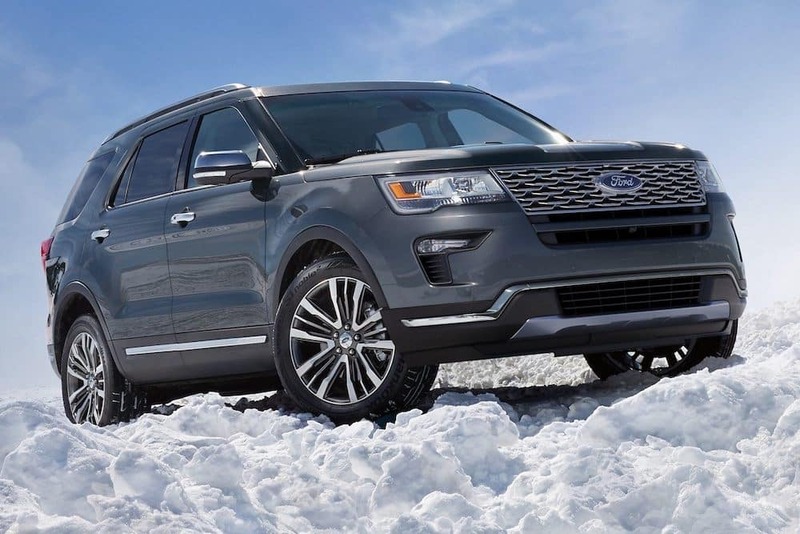 See what else the 2019 Ford Explorer can do, and compare it to the Ford Expedition, with a test drive at River View Ford. We can get you behind the wheel of Ford SUV for a great price with our new vehicle specials. Take a look and then visit us today in Oswego. Looking for even greater towing power? Check out the 2019 F-150 towing capacity. 0 comment(s) so far on How Much Can a 2019 Ford Explorer Tow?